Get labels and discounted rates from 14+ domestic and international carriers using our shipping API or apps. Add shipping APIs to your application in minutes instead of weeks. Get the best shipping rates by unlocking every major carrier in one simple integration. Why do developers choose Shippo? Why do you like Shippo? Why do developers choose EasyPost? Why do you like EasyPost? What are the cons of using Shippo? What are the cons of using EasyPost? How much does EasyPost cost? What tools integrate with Shippo? What are some alternatives to Shippo and EasyPost? ShipStation - Import, manage and ship your orders with ShipStation... the #1 choice of online sellers. Instantly create shipping labels with the Shippo REST API. The multi-carrier API allows you to retrieve rates, create labels, track packages and much more across all shipping providers, with one simple interface. Shippo focusses on providing a clean, robust and scalable technology that e-commerce stores, marketplaces and platforms can use to integrate shipping capabilities into their solution. On top of the API, Shippo provides an easy-to-use UI and developer dashboard that helps with the integration and for e.g. one-off tasks. 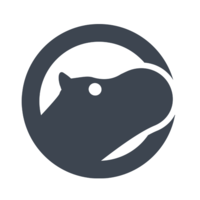 Shippo also provides API client libraries in all major programming languages.